This fantastic family home features three bedrooms with built ins - all surrounding the main family bathroom and an open study nook. The central core of the home is an open plan design and includes the kitchen, dining and living area. The kitchen is a modern design and features an island bench and walk in pantry. A separate laundry can be found to the right of the kitchen. 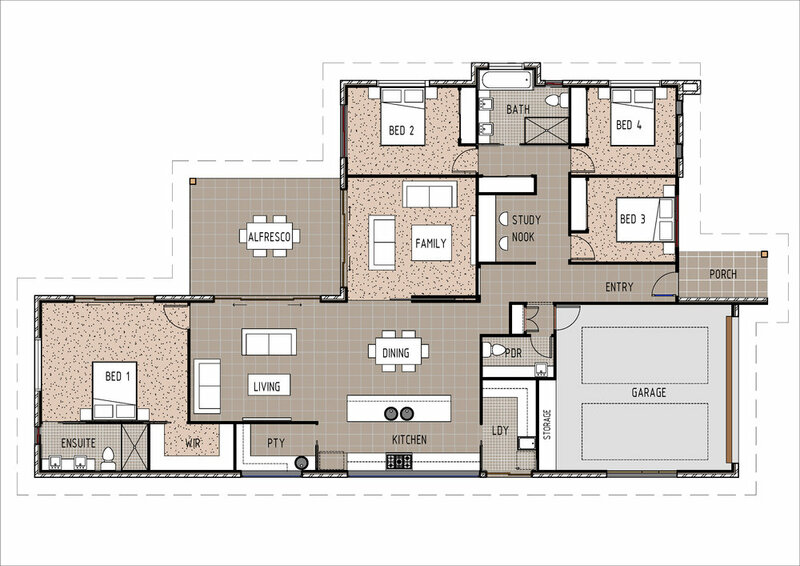 A separate dedicated family room is across the hall from the kitchen and can be closed off from the rest of the home. An outside alfresco area leads off from the living room. The master bedroom can be found at the rear of the home and includes a walk in robe and private ensuite.